By 1996 the mainstream was getting tired of gangsta rap and needed an acceptable face of rap, defending principles acceptable to all, with accessible music, songs that sounded like singles, not too much cursing... 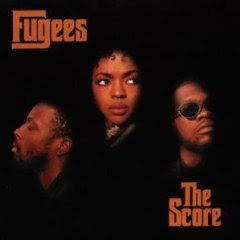 So there appear the Fugees. These characteristics of the Fugees are both what make them original and interesting but also what make them a bit tiring. You can't help but feel a kind of commercial compromise going on here. Some tracks feel like what they wanted to do, while others feel like what they needed to do to sell albums. On this last category most singles fall, although they clearly loved Fu-Gee-La to the point where there are 4 versions of the song in the album, a bit of an overkill. Ready Or Not grates with the Enya sample, Killing Me Softly is annoying, No Woman No Cry is worse than the original. On the good side Lauryn Hill is one of the best female rappers ever and you can really tell, Wyclef brings a good mix of creole elements into the music, but it really could have been much better. In 1998, the album was named one of the 100 best rap albums by The Source. In 2003, the album was ranked number 477 on Rolling Stone magazine's list of the 500 greatest albums of all time. The album was certified 6X Platinum on October 3, 1997. To date, it has sold over 18 million copies worldwide.